Healthwise it hasn’t been the greatest week. I woke up on Saturday morning to a sore, red and swollen right index finger. It was almost throbbing and I didn’t feel great. I think it was a splinter and once that was clear of the wound my finger ceased to be a problem and I started to feel better. Sunday was fine and I had a nice day, but in the early hours of Monday morning I woke feeling terrible and this time it didn’t seem to be connected to the finger. For once though I pretty much dropped everything. I still had to do some things for H, but he was out of the house each day from about 7.30 to 4.30. I took the easy route with food and he had pizza or fish fingers and chips as I didn’t have an appetite and I couldn’t face a lot of work. I spent two days mostly in bed reading. If I am ill, I tend to read (if I’m not sleeping) as I find that easier than watching TV (I think it’s because it’s quieter and I’m always been a bookworm so reading comes so easily). Luckily I had a pile of books out of the library so I set to reading them. I have all these this week. I’ve now run out of library books and have turned my attention to books that I’ve won or been given and not got around to reading. I guess it will be a way of getting rid of a few as they will be off to the charity shop once I’m done. A bit of good news for the week was news of a small win. I entered a competition with a local shopping centre and won a night out. The prize consists of cinema tickets and £20 to spend at Costa Coffee. The cinema vouchers have yet to come, but I’m looking forward to going to see something and having a bit of a treat in Costa before or afterwards. If there’s anything left over I might take myself off to work at Costa for the day as there is one on the local high street and I never do that thing of taking the laptop off and working somewhere different. Hope you’re feeling better. I also prefer to read books in bed when I’m unwell. 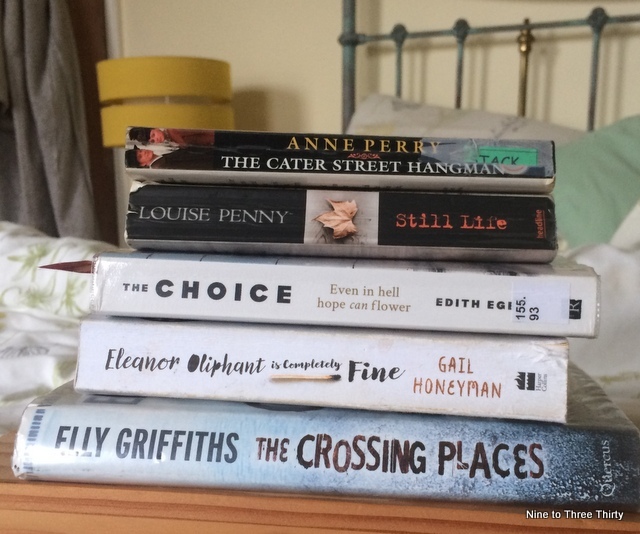 I’ve got two books from your stash – The Crossing Places and Louise Perry’s book, but haven’t had a chance to read them so far. 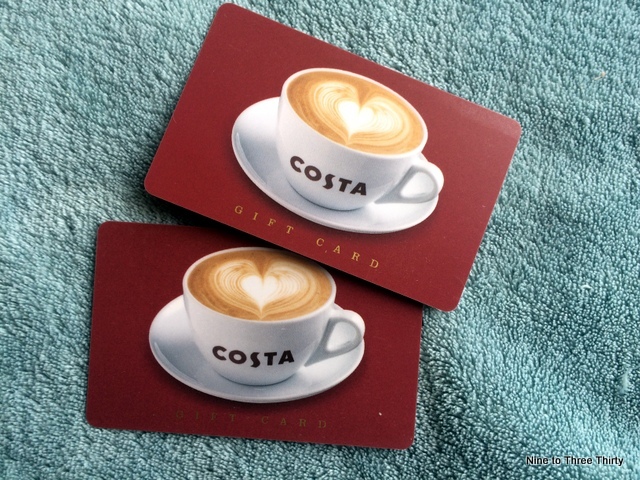 Well done on your win, Costa and cinema vouchers are always handy. I enjoyed both of those Galina. In fact, I’ve ordered other books by the same authors from the library. There’s lots of Louise Perry’s book in The Works (3 for £5), so I treated myself to a few recently. Sorry to hear you’ve been feeling ill this week and hope you’re feeling a bit better now. I’m amazed at how many books you got through! I’ve only tried to work in a coffee shop a couple of times when my internet has gone down and I found it really hard. It sounds like you did the right thing just dropping everything and taking things easy. It sounds like you got a lot of reading done. I hope you are feeling better now. Kim Carberry recently posted..Week 11 of #Project365 – A photo every day for a year! I hope you feel better Erica and congratulations ??? Very well done on your lovely win. I hope you feel better soon, take care. sorry to hear you were not feeling well. that is a lot of books to have got through. Takes me weeks/months to read a book these days . I just don’t do it any more. JK Rowling wrote her HP books in a cafe so who is to say you can’t work from one. Congratulations on your great win! Hope you enjoy a nice costa and cinema trip. Sorry to hear you haven’t been feeling well. Seems to be a lot of it going around! Hope you’re feeling better. Well done on the win. I think working in a coffee shop is when I’m most productive. I just love the buzz in them. well done on the win, hope the cinema tickets have arrived now. how’s your finger?